FlightPhysical.com discusses Hypertension in sections. This page describes the general disposition instructions to AMEs. Also review the introduction and measurement sections, and specific guidelines for initial hypertension requirements, follow-up requirements, and hypertension medications. 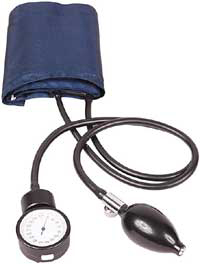 If an individual with no known history of hypertension is found during the FAA exam to have blood pressure readings consistently higher than 155/95 then further investigation is required. Initially, this should consist of recording the blood pressure twice a day (morning and evening) for three consecutive days. If at least 4 of these 6 readings are 155/95 or less and the applicant is otherwise qualified, then no further action is required and the certificate can be issued. If the above is acceptable, the AME may issue the medical certificate, good for its normal duration. For an individual who has already reported the hypertension and received an initial clearance, the follow-up requirements at the next and subsequent FAA medical exams are very simple. All that is required is a statement from the treating physician that the individual is in good health and having no blood pressure related problems and including some sample blood pressure readings.